Older recipes often call for milk to be heated, or "scalded," before it is used in recipes. In the days before pasteurization, this killed potentially dangerous bacteria in milk and made it safer for consumption. Heating changes how milk proteins behave, making it better for use in bread or yogurt. 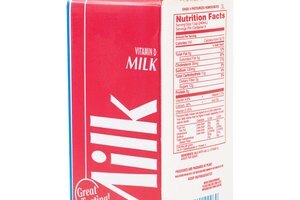 Scalding also intensifies milk's flavor, making it taste richer and creamier. Rinse the bottom of a saucepan with cold water then fill it with the required quantity of milk. Move the pot to your stove and place it on a burner at low to moderate heat. Heat the milk gently, stirring it frequently with a wooden spoon or silicone spatula. The proteins in the milk have a tendency to cook to the bottom of the pot, where the heat source is, unless they are stirred diligently. Test the temperature of the milk with an instant-read thermometer once the milk has begun to steam and show small bubbles. 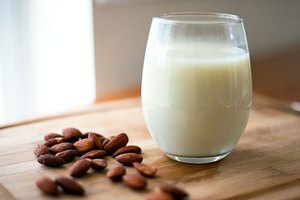 Milk is considered to be scalded once it exceeds a temperature of 180 degrees F.
Select a heat-proof measuring cup that is capable of holding at least twice as much milk as you wish to heat. Fill it to the appropriate level with the milk needed for your recipe. Microwave the milk at high power for one minute. Stir, and allow the milk to rest for 15 seconds as the temperature equalizes. Repeat the process, watching the milk carefully through the microwave's window. 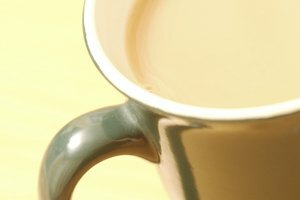 Depending on the quantity of milk, it will begin to foam up vigorously at some time during or after the second minute. Remove the milk from the microwave and stir. Test the temperature with an instant-read thermometer. It should read 180 degrees F.
Scalding is seldom necessary in modern cooking and baking because modern milk is already safe through pasteurization. However, it remains helpful in baking bread and making yogurt. 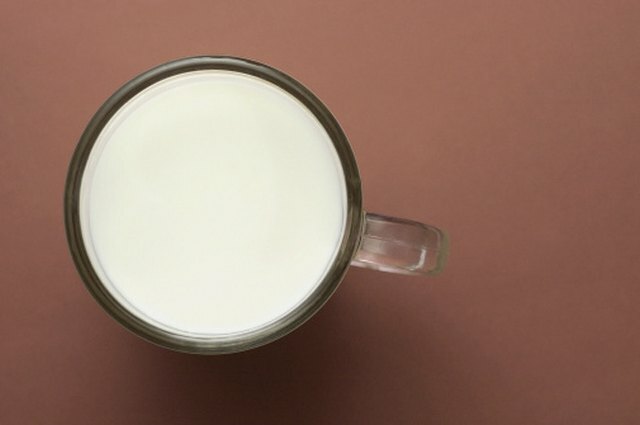 Scalding is sometimes called for simply because the recipe requires warmed milk, in which case you are directed to cool the milk before adding it to the other ingredients. It is quicker to warm the milk only to the desired end temperature. Rinsing the bottom of your saucepan with cold water helps prevent the milk proteins from cooking onto the pot. 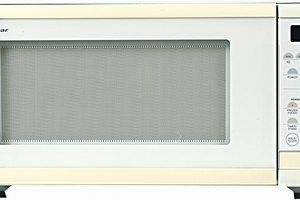 Monitor your milk closely when using the microwave method. Milk can foam up in seconds to two or three times its original volume, spilling out over the microwave and cooking onto the surfaces. If you leave the room while scalding milk, remove the pot from the heat until you return. Milk will scorch to the bottom of the pot if not stirred regularly. Scorched milk cannot be salvaged and should be discarded, and the scorched-on proteins are extremely difficult to remove from your pot.